In February 2016, the Department of Health and Human Services published a proposed change to the Confidentiality of Alcohol and Drug Abuse Patient Records regulations, (42 CFR Part 2) to facilitate health integration and information exchange. HHS has now finalized the Part 2 changes following an extensive evaluation of public comments, according to a recent press release from the Substance Abuse and Mental Health Services Administration (SAMHSA). The Confidentiality of Alcohol and Drug Abuse Patient Records regulations were introduced in 1975 to protect the privacy of patients receiving treatment for substance abuse and mental health disorders. At the time there was concern that the revelation of patients’ identities would have serious social consequences and a lack of privacy may deter individuals from seeking treatment. The healthcare delivery system has changed considerably during the past 40 years and Part 2 regulations were in need of modernization. While the privacy of patients must and will still be protected, the Part 2 changes will help to promote health integration and allow information exchange with research institutions. Any lawful holder of patient identifying information will be permitted to disclose Part 2 identifying information to qualified individuals for purposes of scientific research, provided the research meets certain regulatory requirements. The sharing of data will enable organizations to conduct essential research on substance use disorders. SAMHSA will also permit data linkages between data sets and data repositories holding Part 2 data, if certain regulatory requirements are met. In certain circumstances, patients will be permitted to use general designations such as “My Treating Providers” when giving consent to share personal information. 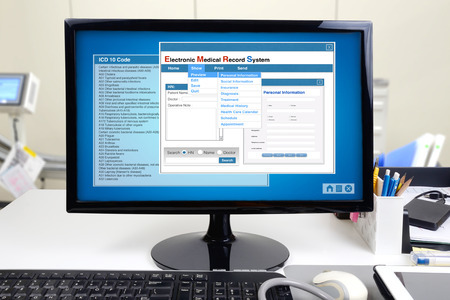 Patients are not required to agree to disclosures of their personal information, although by doing so they will be able to benefit from integrated healthcare systems. If patients do use the general disclosure designation, they can request a list of individuals and entities with whom their information has been shared. Changes have been made that outline audit/evaluation procedures necessary to meet the requirements of CMS-regulated accountable care organization and other CMS-regulated organizations. The changes permit financial and quality assurance functions critical to ACOs and other healthcare organizations. SAMHSA will develop additional sub-regulatory guidance on the finalized provisions and will monitor the implementation of the Final Rule. Clarifying and limiting the circumstances under which contractors, subcontractors and legal representatives of lawful holders of Part 2 data can receive information for payment and healthcare operations activities. An abbreviated alternative statement for the notice to accompany disclosure. The use of contractors, sub-contractors, and legal representatives by CMS-regulated entities to carry out audit and evaluation activities necessary to meet the requirements of a CMS-regulated program.